BRAND NEW! Kohli Dance Scholarship! Dance for Every 2nd Grader! Miss Ashlynd and Miss Karly were thrilled to participate in Any Given Child's: Dance for Every 2nd Grader for the 2nd year in a row teaching gym to all 2nd graders in the Iowa City Community Schools! 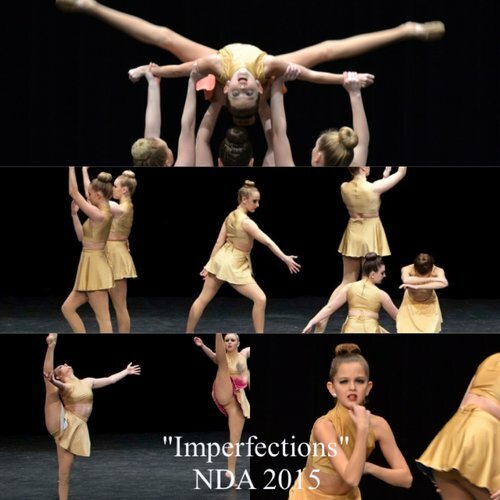 This summer, Natasha Overturff had the concept for the piece of choreography "Imperfections." The choreographers goal was to illustrate that all young women are beautiful. They do not need make up or a filter to be their own kind of perfect. For every like this post generates between now and March 1st (up to $1000) NDA will donate $1 to The Boys and Girls Club of America. Spread the word… Imperfections are perfect! Don't miss NDA at the Johnson Co fair every summer!